Be part of TechTalks.ph, the team behind the exciting tech events such as Geeks on a Beach and Startup Weekend Philippines. We are looking for a passionate and digital minded member to join our growing team and help us make this world a better place! 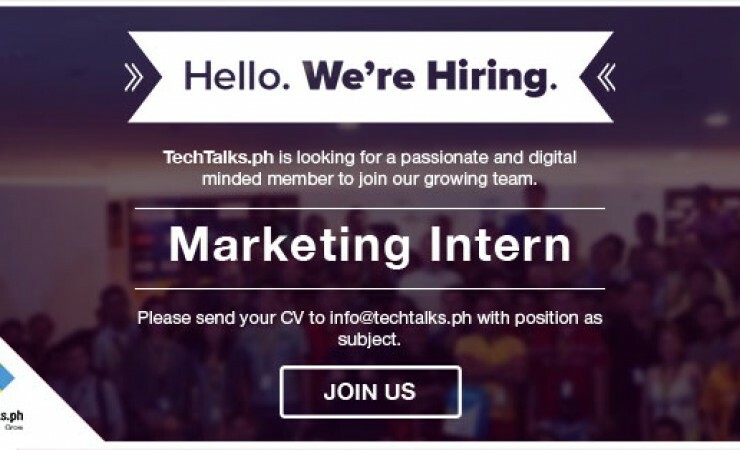 TechTalks.ph is looking for an undergraduate student majoring in Sales, Marketing or Advertising. This person should have excellent verbal and written communication skills, with knowledge of Web and social media. PowerPoint, Word and Excel experience is a bonus, and will be considered when choosing the best applicant for this internship position. Assist in the creation of email campaigns, online promotions, signage, banners, etc. Data entry, general office duties, and other tasks, as directed. Apply Now: Please submit your Curriculum Vitae (CV) to info@techtalks.ph with position as the subject.